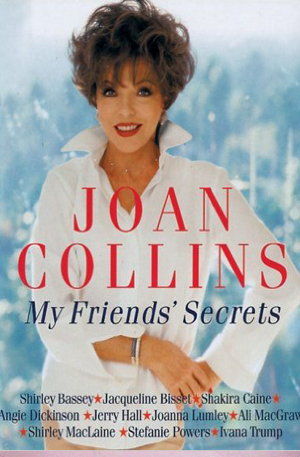 Candid, practical, and fun, My Friends’ Secrets is the fascinating follow-up to Joan Collins best-selling Health, Youth and Happiness: My Secrets. Now the ever-glamorous star talks with some of the world¹s most successful and beautiful women ‹ Angie Dickinson, Michelle Phillips, Joan Rivers, Ivanna Trump, Shirley MacLaine, Diahann Carroll, Shakira Caine, Twiggy all of whom share their secrets for maintaining a youthful appearance and living life to the fullest. With an instructive practical section pulling together celebrity advice on skin care, diet, health, exercise, make-up, alternative therapies, exercise, and cosmetic surgery My Friends’ Secrets dispels the negative image of aging and encourages you to have the time of your life.